To safely shield your phone from everyday activities, use this Brushed Card Slot Armored Case for your Samsung Galaxy S9 PLUS. Suits the Samsung Galaxy S9 PLUS perfectly - model Number SM-G965* and any variant of SM-G965. 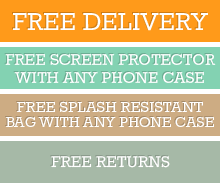 Comes with a Free Screen Protector and Splash Resistant bag. Click the button below to add the Rose Gold Brushed Card Slot Armored Samsung Galaxy S9 PLUS Case to your wish list.